Melt the butter in a large sauté pan over medium-high heat. Add the brown sugar, honey, and Seasoned Vegetable Base to the pan and stir until the sugar is dissolved, 1 - 2 minutes. Add the carrots to the pan, stir to coat, and bring the mixture to a simmer. Simmer the carrots stirring occasionally for 15 minutes. 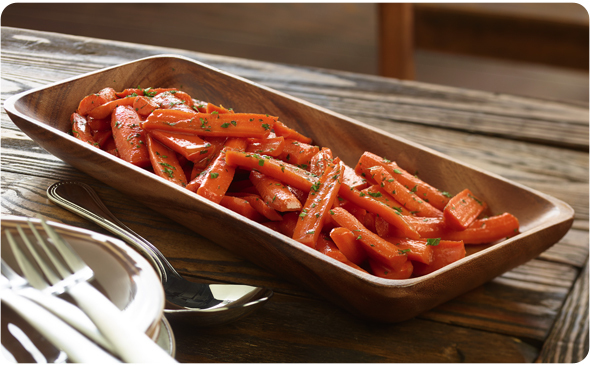 Remove the carrots from the heat and serve immediately.